Not everyone’s mum is into bouquets of flowers, boxes of chocolates and sophisticated dinners for two. 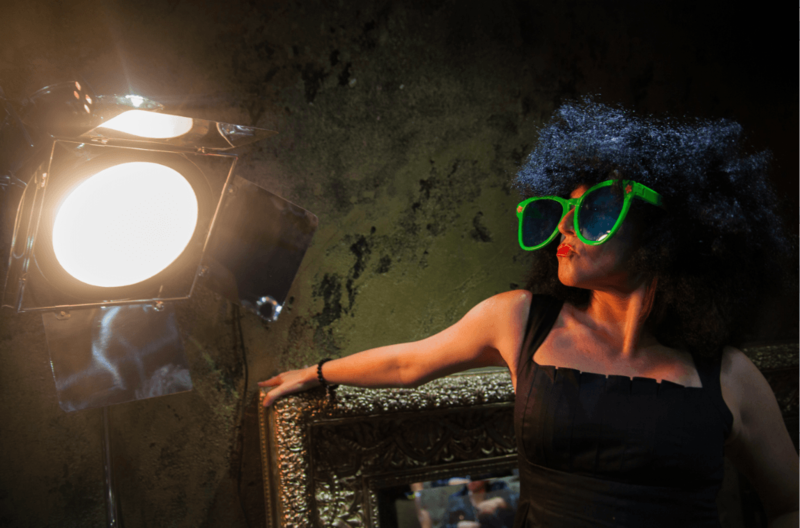 Some mums love a party, a dance and a little bit of madness. That’s why we have numerous, alternative ways to celebrate Mother’s Day this month. We’re sure that there are more than a few mums out there that love to party just as much as we do. So, if your mum isn’t the handmade card and breakfast in bed type, don’t despair. We have you covered. Mums don’t lose their spark just because they have a family. 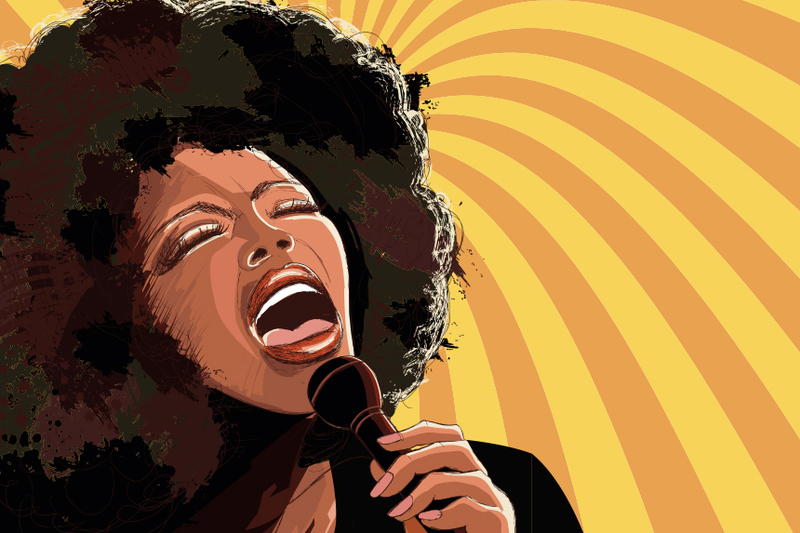 Plenty of mothers are the life and soul of the party – and what could be more soulful than Motown Mother’s Day Afternoon Tea at 30 James Street. Devour a scrumptious selection of delicious cakes, pastries and sandwiches and a side of prosecco to toast the woman of the day. Then unwind and watch on as your mum shows the world her best Whitney Houston impression. Or, why don’t you both unleash your inner divas to a melody of Motown classics inside the spectacular 30 James Street. This is one of the best, alternative ways to celebrate Mother’s Day in Liverpool. Our party apartments are simply spectacular – even if we do say so ourselves. And, if your mum loves a party, then there’s nowhere better to take her this Mother’s Day. Your mum is sure to be the envy of her Facebook friends this March 31. Book yourselves into one of our superb suites; be it the Eve suite which can sleep your mum’s entire crew or the Garden of Eden suite which is one of the most beautiful hotel rooms in Liverpool. Gather the whole family this Mother’s Day and book into one of our famous party rooms. The Skyline Suites, for example, have been a firm favourite since they opened in 2017 with their luxury blue and decadent fixtures. Our rooms, with their private bars, enormous hot tubs and opulent décor are ideal for a Mother’s Day blow out. This alternative way to celebrate Mother’s Day is sure to leave you with both a smile on your face and a headache the next day. 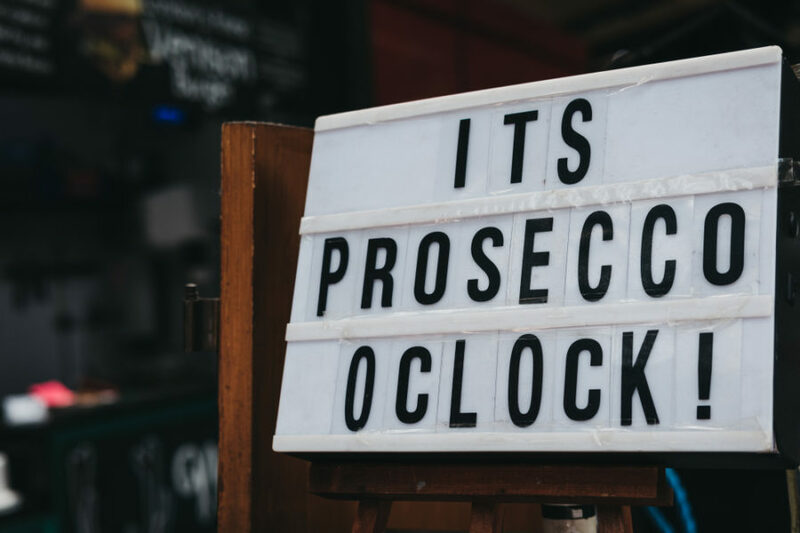 If you’re on the lookout for alternative ways to celebrate Mother’s Day, then chances are your mum loves a cheeky drink or two in some of the best bars in Liverpool. 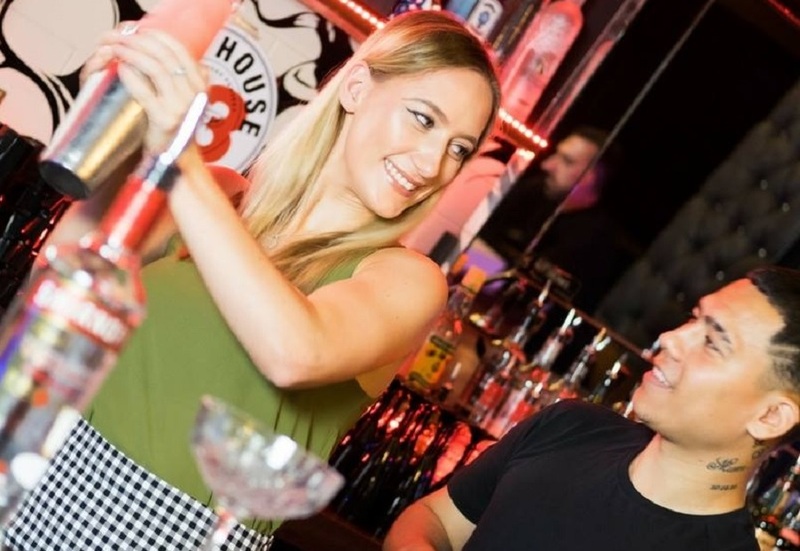 We operate some of the best bars around and we know how to make your mums special day even more special. 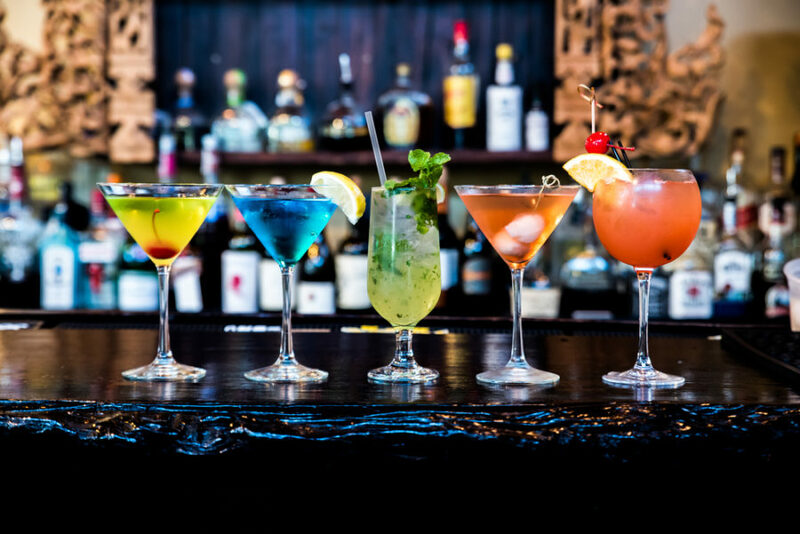 At Alma De Cuba, we can coach you and your mum on how to make the perfect, Cuban inspired cocktails from our extensive menu. Whether you love a classic Zombie or a Poland With Love, you and your mum can shake up a storm with our cocktail masterclass. One of favourite ways in which to celebrate Mother’s Day, our incredible cocktail classes are sure to have you in the mood for a party once the last drop is drunk. Not only do we have the best party rooms in Liverpool, but we’re also way ahead of the curve when it comes to pools and spas. If your mum stays away from the norm, maybe a pool party could be an alternative way to celebrate Mother’s Day this month. 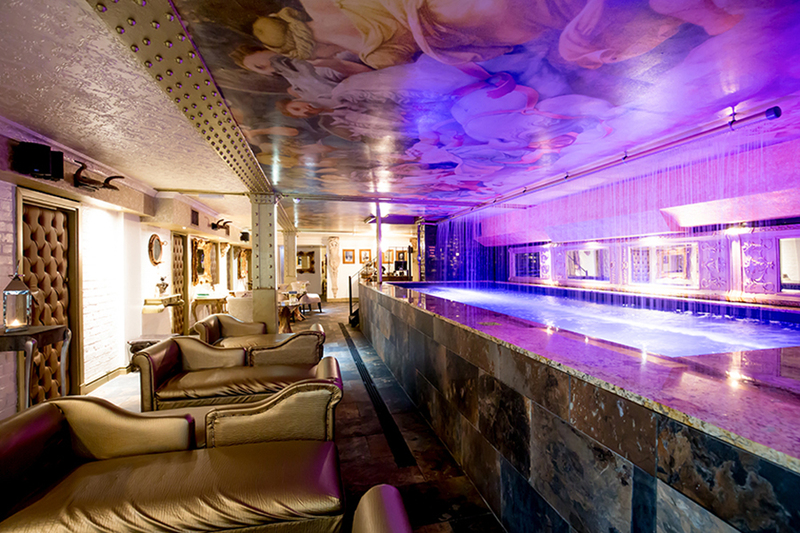 Our Laurent Perrier room remains a popular choice for those who love an indoor pool party in Liverpool. 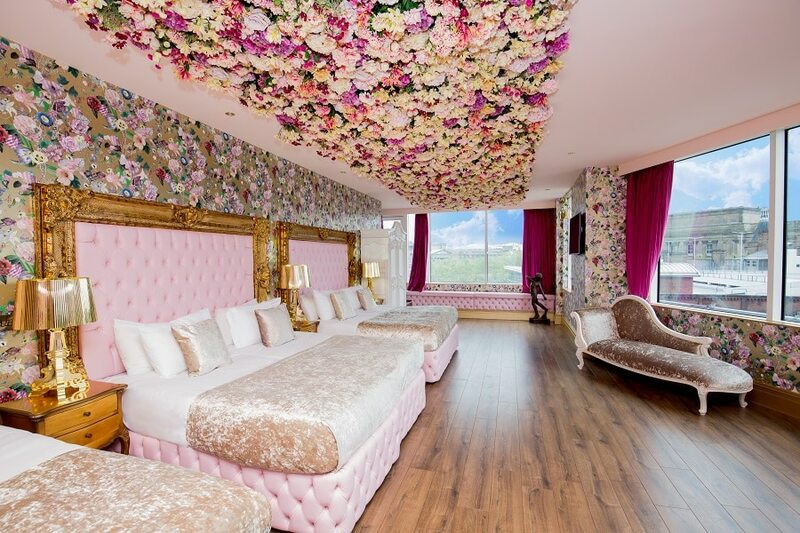 With an enormous mosaic dip pool and private cabins that span two floors, the 24-bed room is the best way to treat your mad mum this Mother’s Day. Our wondrous spa in the depths of 30 James Street is another favourite of ours. As your suite is attached to the spa, once the sun drops below the clouds, you can traverse down the metal stairs to paradise. Equipped with a 40-foot hydrotherapy pool, DJ booth and a private bar to accommodate your mum’s party, 30 James Street is one of the ultimate, alternative ways to celebrate Mother’s Day. Our Mad Hatters Afternoon Tea Party is back and better than ever before with even more surprises in store. 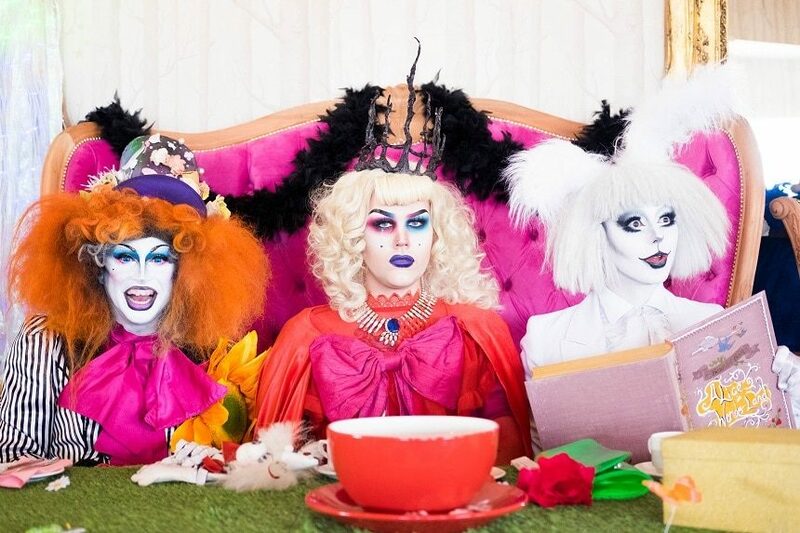 This March, surprise your mum with a day of epic proportions as The Mad Hatters Afternoon tea party takes The Shankly Hotel by storm. 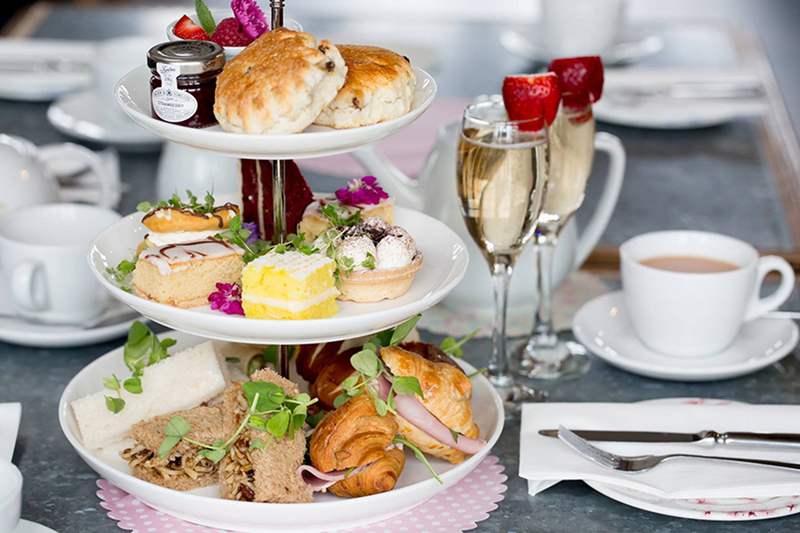 Make her Mother’s Day with an exclusive ticket to the craziest afternoon tea in town. With a flute of prosecco in one hand and a themed cupcake in the other, watch on in awe as a spew of talented performers leave your mum speechless. The Mad Hatters Afternoon Tea Party is the ultimate present for alternative ways to celebrate Mother’s Day in Liverpool. One of our best deals to date, Bubbles & Burlesque is an ideal, alternative way to celebrate Mother’s Day. Not only is your room decorated to your specification, but you can also choose from a private cocktail masterclass or a dance class of your choice at our dance studio. Start Mother’s Day in style with prosecco and cupcakes on arrival as you settle in for your special weekend. Bubbles & Burlesque is as fun as it sounds and the perfect way for you and your mum to let lose. It’s never too late to book one of our alternative ways to celebrate Mother’s Day in Liverpool. Our helpful and friendly team are on hand to help you with any of your alternative Mother’s Day needs. Contact us on 0151 236 0166 and let our reservations team know what type of mum yours is; then they can help you plan the best alternative ways to celebrate Mother’s Day. Have your Girls Party in Liverpool with Signature!